The concept is simple: A smoke alarm that tells you there’s a fire nearby is a great, but a smoke alarm that tells you there’s a fire no matter where you are is even better. Smart smoke and carbon monoxide (CO) detectors are one of the most useful categories of smart home gear on the market, mainly because they offer a clear advantage over “dumb” versions of the same product. And if you have a second home or travel frequently, the additional peace of mind they can provide is invaluable. Once installed and powered up, you download the relevant app and connect to the device wirelessly. 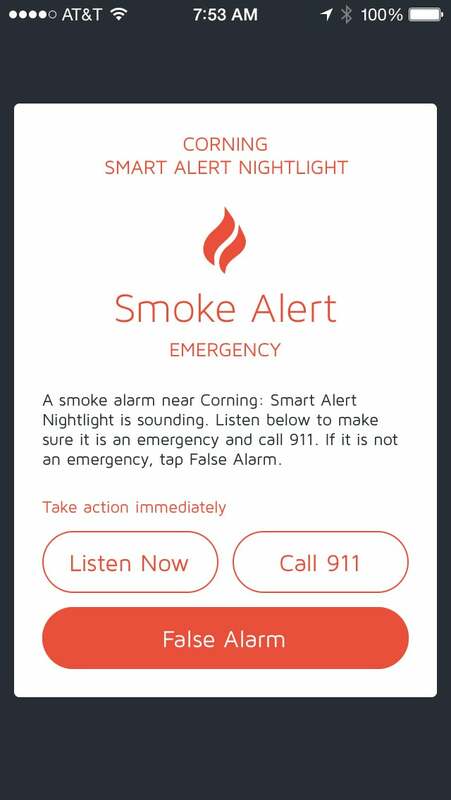 Then, when the alarm goes off, not only do you receive an audio alert—many include helpful voice instructions instead of just a siren—your smart phone also tells you what the problem is (whether it’s smoke or CO, which alarm was activated, and sometimes even the severity of the smoke). 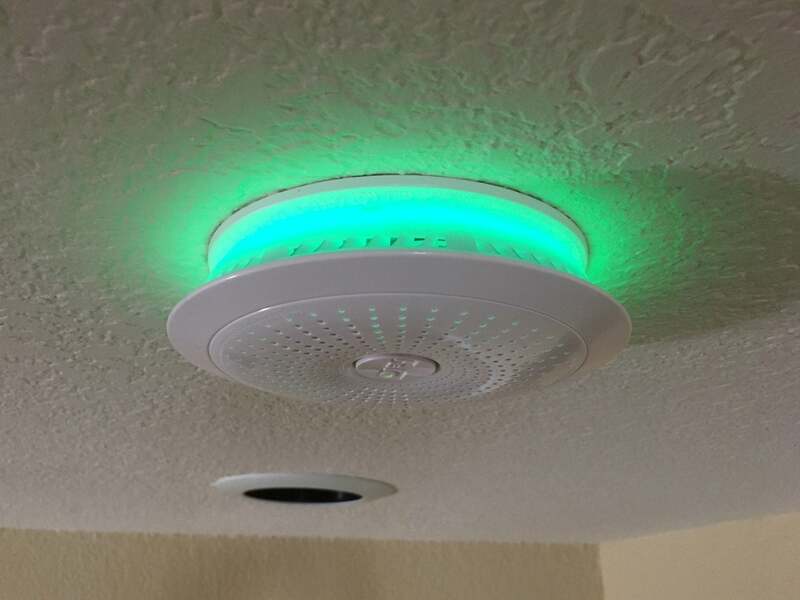 Many smart smoke detectors hook into additional smart home gear and IFTTT, so you can get even more clever by having the lights start flashing if smoke has been detected, for example. Perhaps the biggest benefit of a smart smoke detector: No more hunting down midnight chirps, since you’ll also get phone-based notifications about dying batteries. Here are our picks for the best options on the market today. Updated August 7, 2008 to add our review of the new First Alert Onelink Safe & Sound, which melds a smart smoke and carbon-monoxide detector with an Alexa-powered smart speaker. It’s an innovative idea, but it comes with a high price tag that not everyone will be comfortable with. As such, it doesn’t displace either of our top picks in this category. Whether you’re integrating it into a Nest ecosystem or not, the Nest Protect should be at the top of your smart smoke-detector list. The Nest Protect is one of the most mature smart smoke alarms on the market, and it’s a no-brainer of a choice if you want one of the most sophisticated and reliable smart smoke detectors out there. 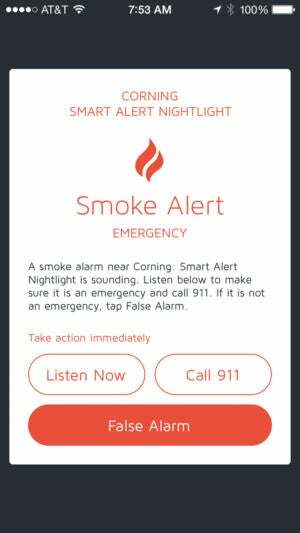 Alarms are varied, integrated lighting is color-coded based on the type of threat, and the product includes helpful voice alerts when activated. In testing, our phone was alerted almost immediately, and the app couldn’t be simpler to master. 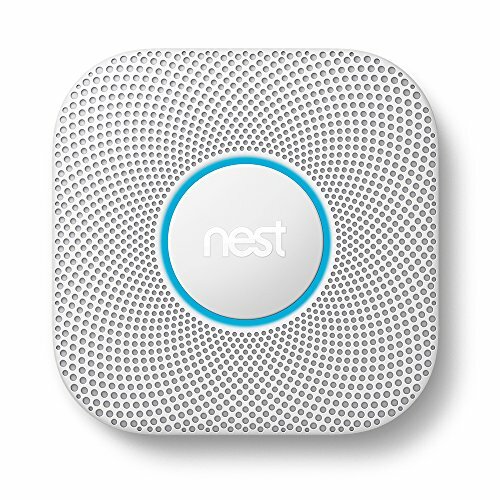 If you have additional Nest gear at home – namely a Nest thermostat – things get even savvier, as you can configure the Protect to shut off your ventilation system if it detects smoke, a potential life saver. At $119, the Nest Protect isn’t cheap, but pricier options are out there. In this case, though, the outlay is worth it. The Halo+ is in many ways a clone of the Nest Protect, though at $149 it’s quite expensive (although it’s $100 cheaper than the First Alert Onelink Safe & Sound, which in defense of the latter product, is also a smart speaker). The Halo+, for its part, includes an integrated weather radio that can be set to alert you to emergency-level weather conditions, and its app is a bit more refined than the Nest. The Halo+ system does support third-party hubs, including Alexa, Iris, and SmartThings, but we had trouble getting the device to work with Alexa. Most users will probably do just fine with the Nest Protect, but if the weather radio option sounds enticing, give it a look. The Leeo is a brilliantly innovative safety device that can protect any home, along with the people living inside it. We’d call this a tie between the Leeo and the Roost Smart Battery, but we haven’t put our hands on the second-generation Roost product yet. In the meantime, Leeo has chopped the price of its smart nightlight in half and added IFTTT functionality, so that it can be integrated into broader smart home systems that also support that feature. You might also find its onboard humidity sensor useful as it can warn you of conditions that could lead to the growth of mold. For the most part, smart smoke alarms tend to work almost identically. The device installs on the ceiling or high on the wall (typically replacing an old-school smoke alarm in the same location), either using batteries or in-wall power. Most of the smart smoke alarms we evaluated are available in either format and cost the same. When shopping, pay close attention so you don’t end up with the wrong type. If you’re upgrading a hardwired model, it’s important that you replace all the detectors in the chain with the same make and model. One of the reasons for hardwiring a smoke detector is that if one detects a dangerous condition, it can trigger all the others to go off. But there’s no guarantee that feature will work if you have a mix of devices from different manufacturers wired together. Replacing hardwired smoke detectors? Make sure you replace all of them with the same make and model. While the overall number of competitors in this space is small, the category is already quite fragmented. The bulk of the category consists of straightforward smoke detectors as described above, but some outliers exist to complicate your buying decision. First is the concept of the smart battery: Rather than replace the entire alarm, a smart battery simply replaces the 9-volt cell inside your smoke detector. The battery contains a Wi-Fi radio that can communicate with your home network and a companion smartphone app. The battery also includes a microphone that listens for the smoke alarm into which it has been installed. When the alarm goes off, the battery leaps into action and handles the “smart” side of things, working much like a standalone detector. At present, there is only one smart battery on the market: the Roost Smart Battery. It’s not a perfect solution, but at just $35, it’s much more affordable than a standalone smart smoke detector. If your budget is limited, it’s definitely worth a look. A similar idea comes in the form of the smart listener. Again, the idea here is that you don’t rip out your existing smoke detectors, you just install an extra piece of hardware that can listen for an alarm going off and alert your phone if it hears one, turning a traditional alarm system into a smart one. 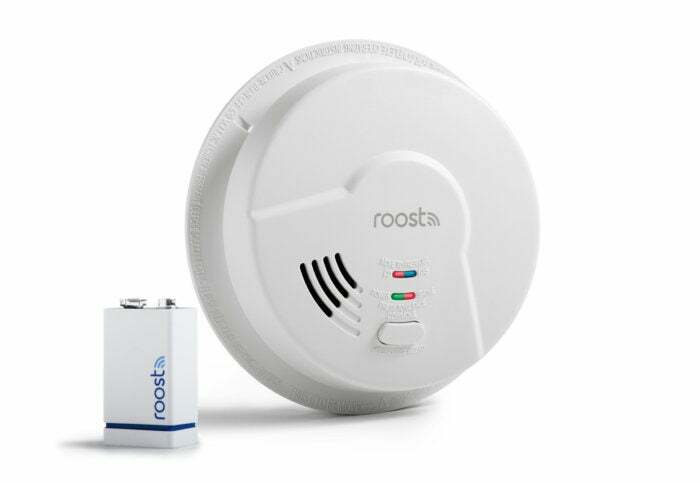 This is different from the Roost battery because the alerter simply plugs into a power outlet (there’s no battery backup, however, so if the power goes out, the device won’t be able to hear the siren). The Leeo Smart Alert Nightlight, at $50, is currently the best option on the market. It’s another great choice if you don’t want to replace the gear you already have. Smoke and CO: Today, you want a detector that handles both smoke and carbon monoxide in a single device. There’s simply no point in forgoing carbon monoxide detection in any smoke alarm you install today, and all the alarms we tested support both types. Note that, as discussed above, smart batteries and smart listeners do not actually detect smoke or CO directly, so you’ll need to ensure the actual alarms in your house do support types of detection if you decide to go that route. Detector sensitivity and accuracy: It’s very difficult to scientifically test how well a smoke/CO detector does its primary job without actually burning your house down. That said, simulating smoky conditions can reveal a little about how sensitive a detector is. As well, you can consider the general consensus about the underlying technology in a smoke detector. The Nest Protect, for example, uses a photoelectric split-spectrum sensor that is considered superior to the ionization sensor used in many older devices and which is more prone to false alarms. Notification variety: A loud siren is expected, but voice alerts are quite handy: They not only tell you what type of hazard has been detected, but also alert you to its location and can even tell you how to respond (whether that’s opening a window or calling 911). Color-coded lights on the alarm itself are another plus. And, of course, speedy push notifications to your phone are a must in the smart alarm space. The light ring on the Halo+ will glow amber if it detects a little smoke, red if it picks up a lot of smoke, and blue if there’s a severe weather event. Multiple users: Obviously you’re safest if more than one person receives a push alert that there’s a fire in the house. Look for a system that supports multiple users through an invitation system. Interconnectivity: Some devices support an interconnectivity feature, so if one alarm goes off, all the other alarms in the house will go off as well. This can be a big benefit if you have a very large home and fear you might not hear an alarm going off elsewhere in the house. We didn’t test interconnectivity features in our review since we tested single alarms individually, so check specifications when shopping if this feature sounds useful. Smart home hub support: If you want to integrate your smoke alarm with the rest of your home, consider whether it is supported by a major smart home hub. The Nest Protect is obviously tied to the Nest ecosystem, but Alexa, SmartThings, and HomeKit options are also available. Note that we had lackluster results with several of these hooks—and even if you do connect the alarm to your smart home hub, the ultimate usefulness of this connection can be limited. That said, when paired with a smart thermostat, some smart smoke alarms can trigger the thermostat to shut down your HVAC system, so that smoke isn’t pulled into your ventilation system and circulated all around your home. Virtual lives: Could VR change how we think of others?